REUSE Food Waste by Composting it for School Gardens.REDUCE Water consumption by educating about the safety of water fountains and cutting down our water bottle waste. RECYCLE plastics, cans, and paper at each school.RETHINK through Green Purchasing of environmentally friendly products like brown napkins, recycled copy paper, non-toxic cleaning products, etc. 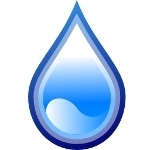 The Wayland Green Team meetings are held every FIRST Thursday of the month, unless otherwise announced. Welcome! "Wayland Produce Served in School Cafeterias"
The Environmental Working Group has put together their new Dirty Dozen (and then some) and Clean Fifteen produce & pesticide shopping guide. Check it out here. Over 60 exhibitors and 400 visitors. Check out the Wayland School Gardens this summer! Join Massachusetts Beekeepers and demand Lowe and Home Depot stop selling bee killing pesticides and plants. Beekeepers, come in costume, light your smokers, bring flowers and signs, kids too. This is a friendly action. at the First Parish of Sudbury, Unitarian Universalist on 327 Concord Road, in Sudbury. Bring your own mug! 350 Massachusetts is a volunteer-led, campaign-focused initiative convened and facilitated by Better Future Project, connecting and organizing a strong grassroots coalition to address climate change and build a just and secure future beyond fossil fuels. Wednesday, January 29; 7:00 p.m. The Wayland Green Teens are building a garden at the Wayland High School and doing a kayak river clean up with Pat Conway this spring. The WGTeens are also participating in Earth Day on May 4, 2014! All Wayland High School Students are welcome to join! 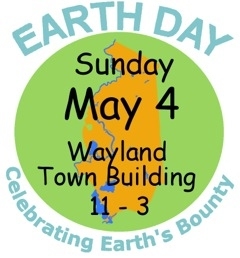 The Wayland Green Team and Transition Wayland are spearheading an effort to eliminate plastic bags. We would appreciate your support in showing the company that Wayland is behind this environment and wildlife-friendly policy. Read this letter and contact andrea@waylandgreenteam.org if you want to sign it or help. You know (what should be) the old saying: look at someone's trash and you know everything about them. The Green Team has put out a call to the school community to investigate our Town's trash in a school made documentary. Contact kaat@transitionewayland.org is you want to help. Find more info here. May 2012. Success! Our efforts, especially those of Green Teamer Pat Conaway, paid off: Wayland's public spaces and ball fields have adopted new, blue recycling bins next to the existing green trash bins. Read about it in the Patch and the Town Crier. The Green Team met with the Board of Public Works on Monday, April 30, 2012, to stress the continued need for recycling pickup at our fields and parks. Soon after the issue was resolved and we'll have a recycling program! Read the article in the Patch for more details.